The network design in supply chain determines its physical arrangement, design, structural layout and infrastructure of the supply chain. Here the major decisions to be made are on the number, locations and size of manufacturing plants and warehouses and the assignment of retail outlets to warehouses, etc. This stage witnesses some other major sourcing decisions as well. The basic time duration for planning horizon is few years. Many major decisions involving the long-term location, capacity, technology and supplier selection have to be made by considering the probable uncertainties present in the market development accompanied by changing economic and legal conditions. 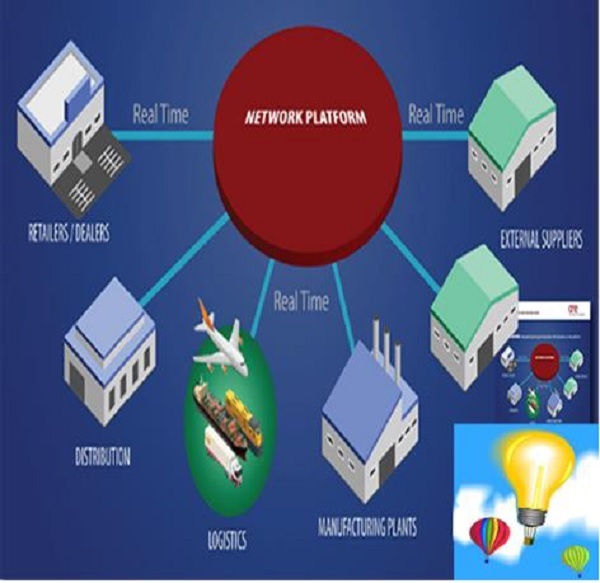 The network design in supply chain concentrates mainly on the development of multi-stage stochastic optimization methods required for decision support under demand, freight rate and exchange rate uncertainty. Here, we will discuss the various strategies to study the uncertainty and scenario modeling. Warehouse location − When companies expand their branches into various new locations, they need new storage places as well. Here the company faces a warehouse location problem. Within the set of probable choices in locations, the one that has minimal fixed costs and operational costs by fulfilling the required demand is chosen. Traffic network design − With the growing population, the traffic in cities is increasing. Because of the higher transportation demand, the traffic networks have also to be widened. Since the budget allotted is usually limited, the major issue is to determine which projects should be constructed to develop the flow inside a traffic network. Reshoring − This phenomenon has emerged recently because of the rising cost and other circumstances. It is the exercise of bringing outsourced products and services back to the source point from which they were originally shipped. It outlines the process of moving some or all producing back to its original source. Supply chain networks present different types of models that help us understand the various optimization methods used for studying the uncertainty and scenario modeling. There are six distinct supply chain network models, as given below. The supply chain network basically deals with three major entities: Producer, Distributor and Merchant. Two different options are available, i.e., customer pickup or door delivery. For example, if the door delivery option is opted for, there is transport between producer and distributor, distributor and merchant and producer and merchant. The distribution system decision is made on the basis of the choice of the customers. This in turn results in the demand for the product or products and cost of the distribution arrangement. New companies may come to a halt through the application of a single type of distribution network. Mostly, companies go for merging of different types for distinct products, different customers and different usage situations, coming back to the different optimization models mentioned above. Now we will discuss each model in brief. In this model, goods are moved directly from the manufacturer’s location as the starting point to the end customer’s location as the destination point bypassing the retailer. The retailer is the person who takes the order and initiates the delivery request. This option is also called drop-shipping, with product delivered directly from the manufacturer’s location to the customer’s destination. It is somewhat congruent to pure drop-shipping or moving, but the difference is that pieces of the order come from different locations and they are merged into one so that the customer gets a single delivery. This comes into action when the inventory is not owned by the manufacturers at the plants; instead it is owned by the merchants/retailers in intermediate warehouses and package carriers are used for shipment of goods from the intermediate location to the final customer. This type results when the merchant/retailer delivers the goods ordered by the customer to the customer’s home instead of using a package carrier. In this type, the inventory is stored at the warehouse owned by the manufacturer or producer but the customers place their orders online or through phone and then come to pick up points allotted for collecting their orders. This is mostly applied on situations when inventory is locally stored at retail stores; customers walk into the retail shop or order something online or on the phone and pick it up at the retail store.